Welcome to the e-Book Cover Design Awards. This edition is for submissions during October, 2015. JF: Exquisite, subtle, and very affecting. There’s a great dynamic between the classical composition and the asymmetric woman’s face that creates a powerful pull into the story. JF: Absolutely delightful, and the engraving with red typographic accents is perfect for this material. A N King submitted Jungle Paradise designed by A N King. JF: Not a bad job although the type is pretty basic and not adding much to the design. A. E. Oglesby submitted Juniper Ash designed by A. E. Oglesby. JF: Beautiful and, yes, balanced, although the couple has been ghosted almost too much to be easily seen. JF: Very nicely done, and the diagonal from the title through the image to the author’s name keeps it interesting. I like the care with which the type was used for this poetry book. JF: Brings together the designer’s deft hand with detail, controlled palette, and sensitive typography. In this case I wonder whether the title could have used more emphasis. JF: Flying goddesses, how can you not like that? Simple and straightforward. Ana Franco submitted Down the Wormhole designed by Alexa_Fotos. Angela Oltmann submitted What Lainey Sees designed by Angie-O e-Covers. JF: Lots of story on this solid cover, and a design that ties into the title perfectly. JF: Although it’s a lovely photo, it could use more contrast and drama, and the title isn’t holding up to the photo very well. Ariana Hawkes submitted Once Bitten Twice Smitten designed by Angie Teo. JF: Having a whole crowd on the cover dilutes the effect of showing the characters at all, not usually a good outcome. JF: With only the one strong visual, the cover is completely focused on delivering its somber message. JF: Problem is no casual browser knows any of the that background, so it’s kind of irrelevant. I like the clean look of this design, but the title has been so overworked its competing with the image for attention. JF: Stylish typography, and that door is pregnant with possibities. It works. JF: Always good to try something new, but the type here is inappropriate to this genre and could use a more emphatic layout. JF: Charming and surreal all at the same time. C.B. Cook submitted Paralyzed Dreams designed by C.B. Cook. JF: The stark photo is affection, the rest of the cover doesn’t measure up, and the curlicue ornaments seem wildly out of place. JF: Beautifully done, with real appeal. JF: Very disjointed elements with no seeming relation to each other. JF: Nice job, but don’t try to do too much. Considering all the visual elements you’re asking people to take in, fussing up the title type just adds more for us to process. JF: Some nice elements, but the arrangement seems rather arbitrary. JF: With a hero who’s both buff and introspective? No wonder. JF: Great job, Christopher. I like the nuance you’ve introduced by using the figure to reveal another landscape, and the controlled tone of the cover allows the main figure to grab us. JF: That’s some gorgeous typography, but I have to confess that big closeups of eyeballs creep me out. JF: I can see a face in the ground, but to be honest I wasn’t inspired to look because the drawing is so dull and the title very weak. JF: Doesn’t work for me. The two pieces of art look like they belong on different books, and the title is giving me a headache. Daniel Swenson submitted The Farthest City designed by Thomas Mihm. JF: Intriguing piece of artwork, could use a less overworked and more adept type treatment. JF: Not sure about the font choice for the title, I’d like to see something more decorative for this genre, but overall the cover creates a great sense of foreboding. JF: Love the whole thing, the pink and the lovely artwork, but I do wish the title stood out more. Effrosyni Moschoudi submitted The Necklace of Goddess Athena designed by 187designz. Ellen Bard submitted Blaize and the Maven designed by Erin Dameron-Hill. JF: The market for YA fantasy continues to go strong. Here’s a really cover cover for that genre. The designer highlights the heroine’s flaming hand, and the classical type complements the classic elements in the landscape. The twisting body lets us know we’re in for action. Emily Cyr submitted Push and Pull designed by Najla Qamber Designs. JF: Clever. Genre and story in one delicious bite. JF: Swordplay on spaceships? I can see the designer’s challenge, and although the art and type have been well done, as a cover it borders on incomprehension. Erin Rhew submitted The Prophecy designed by Anita B. Carroll. JF: A lot of care went into this design, but I wonder if it isn’t too quiet compared to its peers. JF: You’ve definitely produced an arresting image, but it deserves a better type treatment. JF: I removed this cover, which showed a recognizable image of a young girl, and redacted the comment to make this point to all readers: If you don’t have the rights to an image—particularly one that has recognizable people in it—please don’t use it on your cover. First, the image is copyrighted by whoever took it, and the fact that you are “unable” to find the owner does not give you any right to reproduce it. And second, people have a right to privacy that can only be waived by their express consent. Be wary of images you find on sites like Flickr.com where the photographer may have posted them with permission to use, but never bothered to get releases from the identifiable people in the picture. Message: just don’t do it. JF: What’s odd about it is that the upper part of the woman’s body appears to be running, but the lower part looks like it’s standing still. JF: Interesting approach, but I don’t think the graphic design expresses as much as you had hoped. JF: Hey, a pink Glock is a good magnet, but the rest of the cover, particularly the type treatments, is way overblown. Less is more. Hailey Woerner submitted Jaded: The SilentWhisperer designed by Hailey Woerner. JF: Good idea with some nice colors, but when it comes to laying on more and more type effects, less is more. JF: Very effective artwork, and that butterfly implies a lot about the story. This cover seem more effective to me because in the one below, the blue type is too dark, rendering it almost invisible against the black background. Other than that, a good and interesting series design. Holly Ice submitted The Russian Sleep Experiment Horror Novella designed by Marek Lewandowski. JF: Creepy and violent (that’s the “hook”) with some clever type play to allude to cyrillic alphabets. JF: Nicely done. Despite just being a field and sky, the whole landscape is so active it feels alive. JF: It’s not too big a mystery, give the arms protruding from behind the door, but yes, it works really well, although I’m not a big fan of the title type that almost looks like it’s pixilating. JF: The design is less compelling than it should be because all the information for the browser is in the confrontation the two characters are having with whatever is in front of them, but this element has been made so small it lacks impact. Compare to the amount of space given to fanciful corner elements that don’t really contribute anything. James Egan submitted All That Glitters designed by James T. Egan of Bookfly Design. JF: Great contrast between the solid, squared-up type block of title and author, and the energetic cityscape below. Carefully controlled colors help to heighten the effect. James Egan submitted Shade City designed by James T. Egan of Bookfly Design. JF: Nice idea, but it looks like better skills would be required to combine these images to best effect. JF: It works, and the combination of images from different cultures is well done. JF: I like the image, but this cover, crowded with floral motifs, filagree, and flourishes, is almost collapsing from the weight of it all. A simpler approach would highlight the visual—the “money” part of the cover—much better. joanne Macgregor submitted Scarred designed by Renee Naude. JF: Interesting composition, and if the very busy background was toned down on the top third of the cover, the elongated title type would be more emphatic. katja vartiainen submitted Kitchenelves REVOLUTION designed by Katja Vartiainen. JF: A terrific drawing on a cover that doesn’t do this book justice. It’s actually an illustrated, funny, and slightly dark book for adults that deserves better. JF: I think both these covers (here and below) touch all the bases for this genre, even if they are almost too dark. This is more true on the second, since this cover has a lighter area around the title that provides some much-needed contrast. JF: An arresting visual, but I wish the title type wasn’t so hard to read against the very active background. JF: An evocative image, but the title font seems weak to me. JF: This is another strong genre series design (see 2 following) that gets everything right. The combination of character, nighttime cityscape and distressed type gives just the right look to these covers. JF: Another strong series design using the same elements as the series just above, all to good effect. Notice that the second cover (below) is weaker because the type has been pressed into use as another image container, and I think it’s pretty clear that this one, unencumbered, is far stronger. JF: Not sure what’s going on with the type here, but it’s the weakest element on this cover. JF: It does the job. Mallory Rock submitted They Tell Me You Are Wicked designed by Mallory Rock. JF: Strong tone, the man looks a bit small, and I’m not sure what is added to the overall effect the cover is trying to make by the “clever” type arrangement. Marc Johnson submitted Catalyst (The Passage of Hellsfire, Book 1) designed by Milo from Deranged Doctor Design. JF: A nicely composed and textured design, although the title maybe could have stood out more against the background. Mark Stone submitted Calasade: Sanguinem Isle designed by Mark Stone. JF: Lovely title typography, but the rest of the cover is dark-to-murky-to-illegible, the illustration at the top has perhaps too many figures, and the one at the bottom is indecipherable. Marta D’Asaro submitted Animali Innamorati designed by Marta D’Asaro. JF: Pretty, with strong illustration, but the cover is almost completely lacking in impact, and the title seems to be whispering. Marta D’Asaro submitted Podissea designed by Marta D’Asaro. JF: See above. Great illustrations do not automatically make great book covers. JF: The knife against those lips is edgy and dramatic, the type seems appropriately rough, but you probably didn’t need the flames on top if it all. JF: Nice composition, notice how it almost forces us to join the fellow on his journey toward the light. Matthew Jankiewicz submitted Conjure designed by Timothy Tang. JF: An interesting illustration style, but I’m baffled by the obscure title treatment. JF: I like it, but tell Andy to go easy on those special effects on the title, the illustration is strong and doesn’t need the extra sprinkles on top. JF: The designer has gone all-in with the Spanish moss, but in this case it works. The eye is led to the road stretching into the distance and lands on the careful, classical type at the bottom. Intriguing. What’s at the end of that road? JF: Good concept, but the art seems a bit rough (maybe just the style?) and the title seems a bit overbearing. JF: If it takes place in a tavern, why are we on the beach? I find the whole cover visually confusing although the title is well done. JF: Whether the viewer knows that a book is part of a series, with “continuity of branding” is important, but perhaps not that relevant when evaluating individual covers. This one is a solid sci-fi cover all on its own. JF: Graphically and typographically strong, would have liked to see a touch of color to brighten it up. JF: Nice, and I like the tone of this cover that implies the dark tale within. JF: What mirror? You’re asking a lot of the browser, to take in all these elements and try to make sense of them. JF: Although this cover might work for a collection of poetry, it seems that a literary novel of this quality might have benefitted from something that better reflects its subject matter and the post-war London of its setting. Phin Hall submitted Montgomery’s Trouble in the Underworld designed by Firedudewraith. JF: It looks like a strong illustration but the title is very rough and the typography uninspiring. JF: The illustration works but the type needs help. JF: Funny, I don’t see the sparkle. The title and brand above it seem to have the wrong relationship. The title could be much larger and the branding should be subordinate to it. JF: The combination of fonts in the title seems pretty odd, and the entire cover comes across as low-contrast and a bit murky. JF: There are things to like here, but the title looks like it has been squeezed into the space between her head and that dark band at the top. The tangent formed by the “g” grazing her hair is particularly troubling. Rebecca Chastain submitted A Fistful of Fire designed by Damonza. Renee Barratt submitted Out of The Darkness & Into The Light designed by The Cover Counts. JF: The cover creates a strong atmosphere, and the key is enticing, but the title treatment seems disjointed to me. JF: It came together nicely. JF: Careful typography and a simple design pay off here, the “ghost” highlight on the right becomes the focal point for the cover, and that’s what was intended. JF: Yes, but the final looks a bit flat. 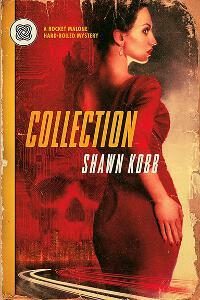 Shawn Kobb submitted Collection designed by James Egan. JF: Totally appropriate and a job well done. The dress makes an ideal backdrop for the type, and the location in the distance adds to the romance. JF: I guess your method worked, because the cover (and that moon!) communicate lots of atmosphere, and everything fits together nicely. JF: A pro designer would have been useful in helping you achieve the cover you imagined. Tanya von Ness submitted King of Fools designed by Tanya von Ness. JF: Impressive typography and subtle dimensionality help this cover stand out. An evanescent “crown” indeed. Tanya von Ness submitted The Purple Mantis Hotel designed by Tanya von Ness. JF: Although it’s obvious a lot of work went into this, I have a hard time making sense of this combination of elements. JF: Groovy. title could be stronger. JF: You would think that this type of lettering would get lost against a busy background, but the designer knew better! Yocla Designs submitted Invasion designed by Clarissa Yeo. JF: Here the designer has made the story preeminent, to good effect. We’re placed right in the scene confronting an uncertain world. Terrific. Yocla Designs submitted Salvage Trouble designed by Clarissa Yeo. JF: Here again the designer relies on elements of story to capture our interest, and adds some nice gloss through the series branding. Looks exciting! JF: It’s a photo that, in the hands of a designer, could make a powerful cover. Alexander Gerasimchuk submitted The Book of Secret Wisdom: The Prophetic Record of Human Destiny and Evolution designed by Richard Wehrman. JF: Well designed for its intended audience. Aubrey McGowan submitted Mastering The Art Of Trust designed by Aubrey McGowan. JF: It’s hard to make sense of this cover since most of it has “bled” onto the white web page background. It looks more like a print book cover than an ebook cover. Glenn Younger submitted HOW TO MAKE THE MOST OF YOUR EARTH EXPERIENCE (14 Principles for Living Unconditional Love) designed by Letizia Farisato. JF: Inviting. Although this is a spiritual self-help title, the cover makes it look like a cross between travel and a how-to. JF: I like the idea but the cover looks crowded, distracting and too hard to read. JF: With a gorgeous image, especially for the photo market, it’s smart to let the image shine, and your design does that well. Karen Solomon submitted The Price They Pay designed by Mark Oberkrum. JF: Simple without being simplistic. JF: It has a kind of primitive charm. JF: And the problem, of course, is that to the uninitiated, it tells us nothing about the story. Marta D’Asaro submitted Il tuo cuore è una scopa designed by Marta D’Asaro. JF: Graphically charming but nowhere near strong enough to stand out in the chaotic ebook marketplace. Pere Ibañez submitted I See Dark designed by Pere Ibañez. JF: The beautiful textures and careful arrangement are sure to appeal to her readers. Russell Phillips submitted Operation Nimrod designed by Kit Foster. JF: Intelligent composition makes this another strong cover. Thanks for writing these articles. I’m a photographer who shoots book covers for Arcangel’s catalog, and I love learning more about how end users use images. I’m working on a self-published book in a different genre than those shown here but your comments are quite helpful. Thank you. Awesome eye candy, thank you for the feedback. nice work everyone. I enjoyed looking at these covers. Now, I have an idea what to do with my book. My guess is that covers for academic publishing won’t have to be as colourful as these ones. Some very nice covers here. I love seeing the resurgence of the science-fantasy subgenre. 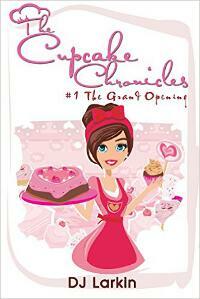 Lorna, the book looks like fun, good luck! Ian, you just need to be cautious when you enter certain genres, otherwise it’s quite pleasant, enjoy your journey. So generous with your consideration! And your feedback=dead on too. The other option would be to overlap the two, either tuck the ear behind the type, or vice versa, but I think the cleanest solution is to just nudge them farther apart. Thanks for entering. Another great batch of covers and learning opportunities for designers. Thanks for the comments on my entry, Joel. Sure, Bridget, I appreciate seeing your covers here each month.